There are so many ways to benefit from the use of Essential Oils. How can you utilise these oils in your laundry? Add Purify to your dish towels for added purifying benefits. Add Melaleuca for its cleansing properties. Add 2–4 drops of Lavender to unscented dryer sheets or a clean washcloth to further infuse a fresh scent into your laundry. Add a drop of your favourite oil to a damp cloth and place on top of clothing when ironing. Did you know artificially scented products are one of the leading causes of indoor air pollution? But we all love those fragrant, fresh smells, so how can we use essential oils for their health and wellness benefits and still acheive the same end result...fresh fragrant washing! and are a great alternative to fabric softener. Applying a small amount of essential oil to the wool dryer ball also adds the fragrant fresh smell of your choice! 2. 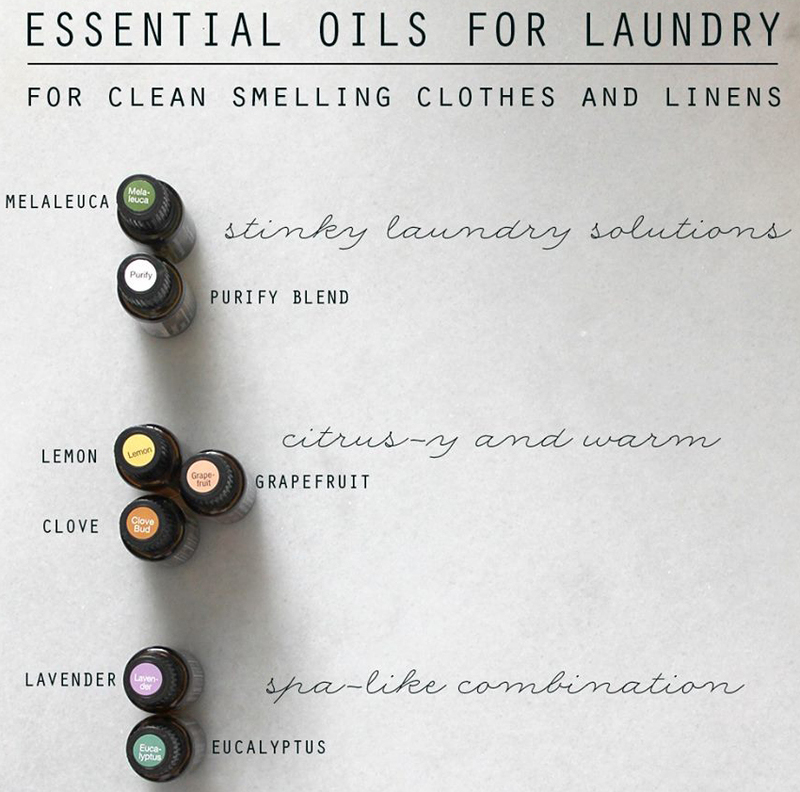 Add essential oils to a damp wash cloth and place in the dryer to fragrance the washing. 3. Apply your essential oils to a cotton bud and place in the closet or drawer to fragrance your laundry while its put away tidy. Sometimes this gives and keeps a longer lasting fragrance than treating washing and the point of drying and ironing. You can also place soap bars with essential oil in the drawers for the same effect.